Perry Noble is one of the young gun new breed of pastors infecting the body of Christ with horrific theology, false conversions and shock theatrics designed to market his brand; not preach the Gospel. He is the pastor of a mega church in the Carolinas and has made the front page of discernment blogs with the same consistency of much bigger names. 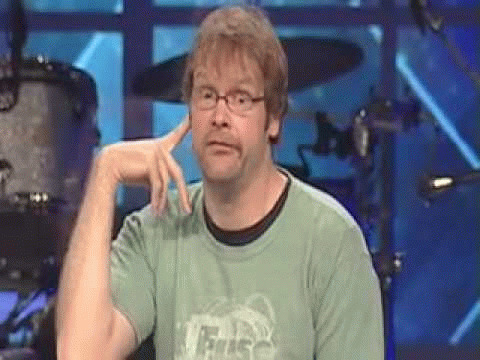 He is the pastor who played ACDC's Highway to Hell one Easter just to "piss people off." He played Miley Cyrus' "Wrecking Ball" during worship another week. He used the racially derogatory "N" word during one sermon and in another he tried to rewrite the Ten Commandments to make them more palatable to unbelievers. He doubly mocks God by claiming in one breath that the tithe is holy and in another offering a full refund if you do not like your level of blessing after 90 days of providing your tithe. He is the pastor who referred to those in his congregation who want to go deeper in the Word as "jackasses" and recently wrote an unbelievably unbiblical defense for why he supports the return to ministry by renegade Mark Driscoll. Quite a record yet over 10,000 people pack into his multi sites to hear him mangle God's Word every single week. Perry Noble is a microcosm of the Great Apostasy the Bible warns us about. A seeker friendly pastor employing the purpose driven church growth schemes while trying desperately to seem hip, cool and relevant. He recently wrote an article revealing the fundamental flaw in his theology and understanding of the Gospel. Moving past his propensity to make unbelievably derogatory comments about people, like fat kids in candy stores, this quote should be all one needs to discern that Perry Noble is a false teacher. Let us reason together by examining the three major problems in this statement that reveal how little Perry Noble actually understands the Gospel. The Gospel of Jesus Christ was meant to offend people. It is designed that way. When we finally consider our filthy sinful state before an infinitely holy God, it ought to offend us. The Seeker Friendly Industrial Complex flips the Gospel in its ear by pretending that it should be as inoffensive as possible. That we need to dip it in confectionary sugar to make it more palatable to the lost; excuse me, the unchurched. The true Gospel divides people against each other. Specifically, people who accept their state as a walking disappointment to God and those who take offense at such a notion. People who realize their desperate need for a Savior and those who think Jesus is just their wing man. While these verses clearly teach the need to abandon our lives in order to find Christ, Perry Noble teaches the opposite. The mere thought that someone would say that God sees man as walking disappointment is enough to make him apoplectic because it grates against his theology of how great we art and his need to have people come back to his church building. But here is today's deep theology beloved. If people are walking away from your church it is quite possibly because you are preaching the Gospel correctly. Think about it. The second verse clearly teaches that in these last days people will gather around them teachers like Perry Noble to scratch their itching ears. To not tolerate the real Gospel. The fact that Perry has over ten thousand people despite how false he is only validates the Timothy verse. But in the warped mind of Perry Noble, people leave the church when correct doctrine is presented. How monumentally sad. 2) The walking disappointment category is not all you have hope in. Dear Lord, do we have to spell this out for Noble? It is Jesus Christ that resolves our walking disappointment problem! That is why He is the focus of the Gospel! But when you preach your whole career that church is all about the seeker and his potential, then you naturally get confused about the role of Christ! But look at Noble's words here. If all you can "accomplish." Who in the world says that Christianity has anything to do with our accomplishments? Jesus accomplished it all on the cross and that is the point that Perry doesn't seem to understand. Let us turn to the key verses for today. Verses you will never hear Perry Noble preach from because they reveal the truth about who we are that he simply cannot handle. Matthew Henry points out correctly that we are actually under the government and dominion to sin. That means that we are subjects to it. We serve it. We bow down to it. It controls us. Perry Noble thinks that God does not see us as a walking disappointment? The key verses remind us that this is probably an understatement. That none are righteous, not even one. That no one searches for God. All have turned away. They have become completely worthless Perry! No one shows kindness; Mr. "fat kid in a candy store." Our throats are open graves and the poison of snakes is under our venomous lips. Our mouths are filled with cursing and bitterness; Mr. "N" word in a sermon." They do not fear God; Mr. "I am going to rewrite the Ten Commandments." I think we are getting the point even if Perry Noble does not.